With the announcement of the H.P. 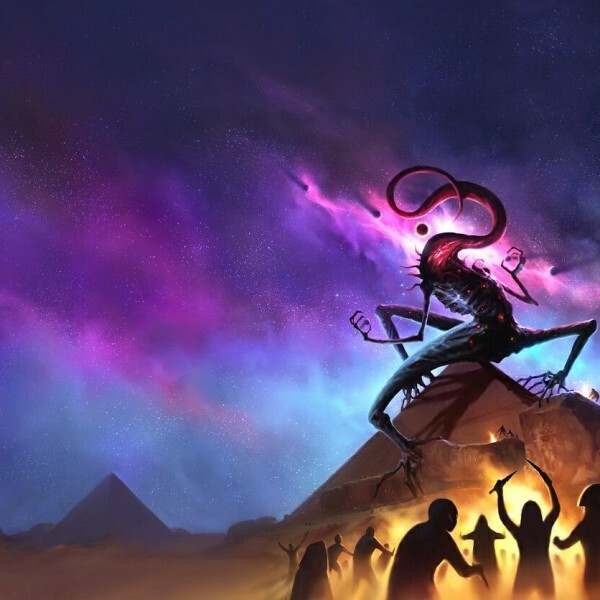 Lovecraft Historical Society’s upcoming biographical drama The Masks of Nyarlathotep, interest in the career of Nyarlathotep has reached an all time high. Games vs Play decided to track down the Crawling Chaos himself to find out just what he thought about a radio drama being made about his life. This is the first interview that the reclusive Great Old One has made in several decades, and Nyarlathotep only consented to talking with GvP under strict conditions of secrecy and confidentiality. 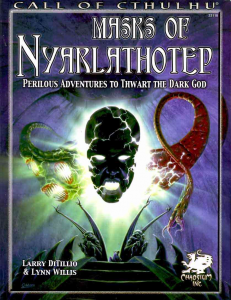 Games vs Play: Thank you Mr Nyarlathotep for talking with us tonight. Before we start I just want to say how honored and privileged we feel to be granted your first interview since the classic Jackson Elias interview of 1925. Nyarlathotep: My, has it been that long? One loses track of time when one is working hard. GvP: Maybe we’ll kick things off by asking how you feel about having a radio drama made about your life? Nyarlathotep: Yes, well. One was flattered at first, of course. One still has an ego, after all. To have one’s works recognised by a group as renowned as the H.P. Lovecraft Historical Society – I feel humbled by the honor, yes. But then one asks, “Why me? Why choose me over my other colleagues?” Where are the biographies of Ubbo-Sathla or Hziulquoigmnzhah? They have all played their roles in this great journey of exploring the cosmic condition that we are embarked upon, you know. GvP: Sure, sure … but without meaning any disrespect to your colleagues, your body of work does stand out. I mean, your performances in “The Haunter of the Dark” and its sequel “The Shadow from the Steeple” are now considered classic, unequalled works of art by both fans and critics alike. Not to mention your roles as the Black Pharaoh, the God of the Bloody Tongue or even The Bloated Woman (which I don’t think made you look like Jabba the Hutt in drag, by the way). Sorry, I’m stumbling over my words here a bit. I’m a bit of a fan. Nyarlathotep: I say focus on one’s works. Why do people need to know the details of one’s life? They do not, I would say. The works stand alone. Nyarlathotep: No, one was not consulted. Sean Branney didn’t even send an email letting one know an adaptation was being made. GvP: That seems a bit remiss. Does it upset you that you weren’t consulted? Aren’t you worried that you might be misrepresented? Nyarlathotep: Not at all. If one had been approached by the HPLHS one would have turned down the offer. This is their story now, and it will be their burden to make the right artistic choices. GvP: I’ve read that the script of the HPLHS production of Masks has run to over 400 pages and 142 speaking parts. It seems they have their work cut out for them. How do you feel about this? Nyarlathotep: One’s ego allows for a certain … satisfaction, let us say. GvP: You’re breaking a smile there, Mr Nyarlathotep. Nyarlathotep: One is not breaking a smile. One does not smile. GvP: Er, ok. Well, I hope that the new version of Masks does justice to your incredible career. Speaking of which, you have a reputation for throwing yourself into your roles. Your chameleon-like ability to change your physical appearance and play such different characters as the Haunter of the Dark (pictured left) or the Black Pharaoh is world-renowned. This kind of method acting makes for amazing performances, but does it take its toll as well? GvP: And what did you discover? 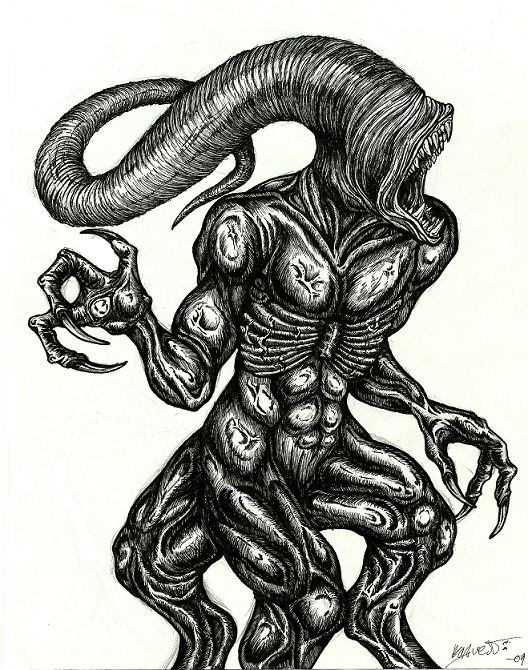 Nyarlathotep: That this ‘Nyarlathotep’ does not really exist. He is just ideas. 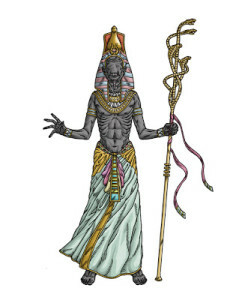 GvP: I’m not sure if I’m following you Mr Nyarlathotep … ? Nyarlathotep: The Black Pharaoh was just an idea. The Crawling Chaos – just another idea. One had a role to play and all of these things cobble together into a kind of Frankenstein monster, a representation. One is like an avatar. You, for instance, are not an interviewer, or a writer. No one is a writer. Words are written, but no one is a writer. There is no one, in fact, there. GvP: Oh, gosh. So you’re saying that … nothing is real? Nyarlathotep: One plays their part as best as one can. But no, this is not real. GvP: That’s going to take a bit of processing … ok then, if we move on a bit, your colleague and frequent collaborator Great Cthulhu has said in another interview on Games vs Play that you have a bit of an identity problem. What do you say in response to that? GvP: Because he’s jealous of your success, perhaps? Nyarlathotep: [makes scoffing noise] Tooly is beyond jealousy, one thinks. He would not have lasted this long in the industry if he were the jealous type. No – one thinks that Tooly was merely pointing out the obvious. In the infinite vastness of cosmic existence, even we Great Old Ones mean very little in the end. 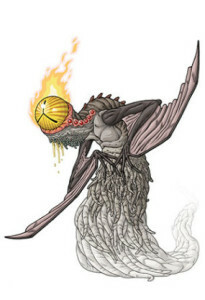 That is what Tooly meant – when you put things into the cosmic scale we all have an identity problem, each and every one of us, from the smallest amoeba up to Azathoth himself. GvP: Well, thank you Mr Nyarlathotep for such frank and thoughtful answers. It’s not often we run an interview here at Games vs Play that we end up talking about the eternal verities. Finally, we have one last question before we’ll let you get back to work. 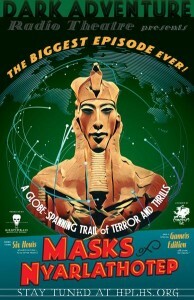 Will you be attending the gala premiere of Masks of Nyarlathotep? Nyarlathotep: One is curious to see what Mr Branney and his collaborators have come up with. Very curious indeed – and perhaps curiosity is the final aspect of one’s personality that one would never give up. So yes, one is planning to attend the premiere. Except, one will be attending the premiere in a form that Mr Branney and Co. may not recognise. GvP: Oh, so you’ll be wearing one of your masks to Masks? That’s so cool! Did I tell you I’m a big fan? But if you’re going to be incognito at the premiere, how will anyone know to congratulate you? Nyarlathotep: That is easy. They will know me by my works. GvP: [laughs] That’s a good one! I think you’re cracking a smile again, Mr Nyarlathotep. Nyarlathotep: No. One is not cracking a smile. One does not smile. 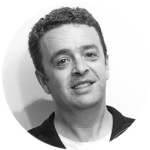 Games vs Play wishes to thank Mr Nyarlathotep for his time in recording this interview. 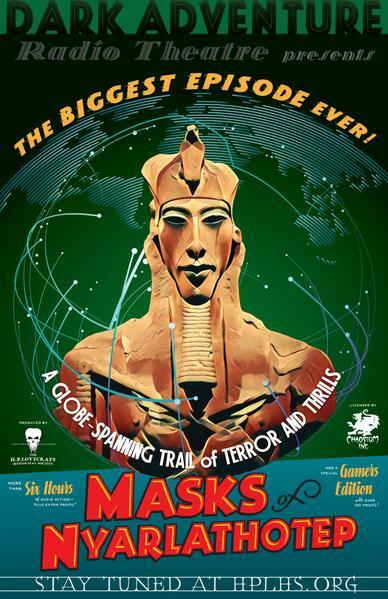 Image sources: Banner image – Chaosium; Dark Adventure Radio Theatre cover for Masks – H.P. Lovecraft Historical Society; Chaosium cover for Masks – Chaosium; Black Pharaoh – Yog-Blogsoth; Haunter of the Dark – Yog-Blogsoth; black tentacle form – Comic Vine.